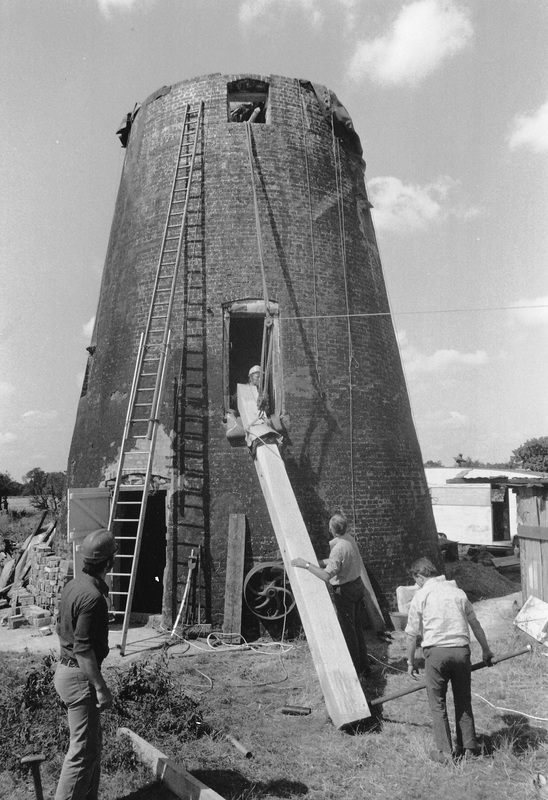 The mill was restored from dereliction to working order between 1980 and 1987 by enthusiasts and volunteers in their spare time. 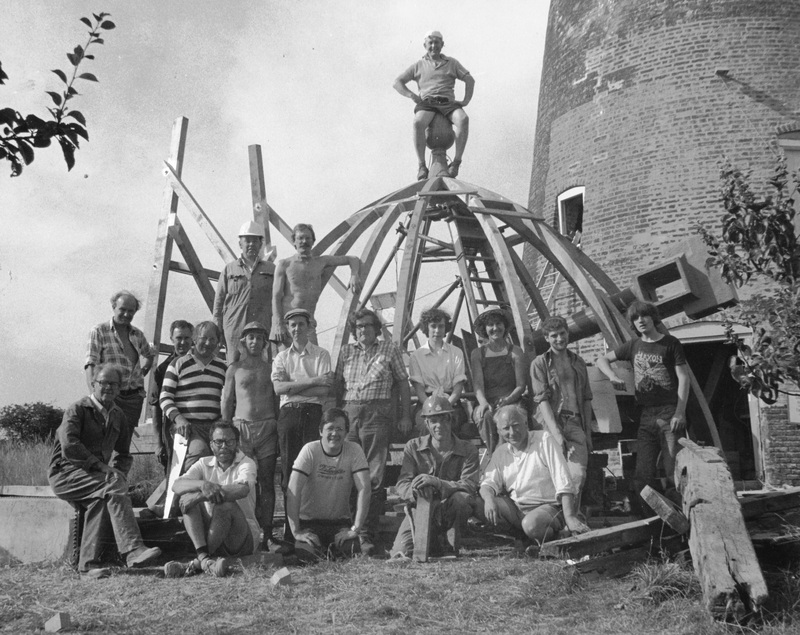 Working holiday weeks were held each summer (the ‘work-ins’) with the help of Suffolk Mills Group and led by the late Peter Dolman. 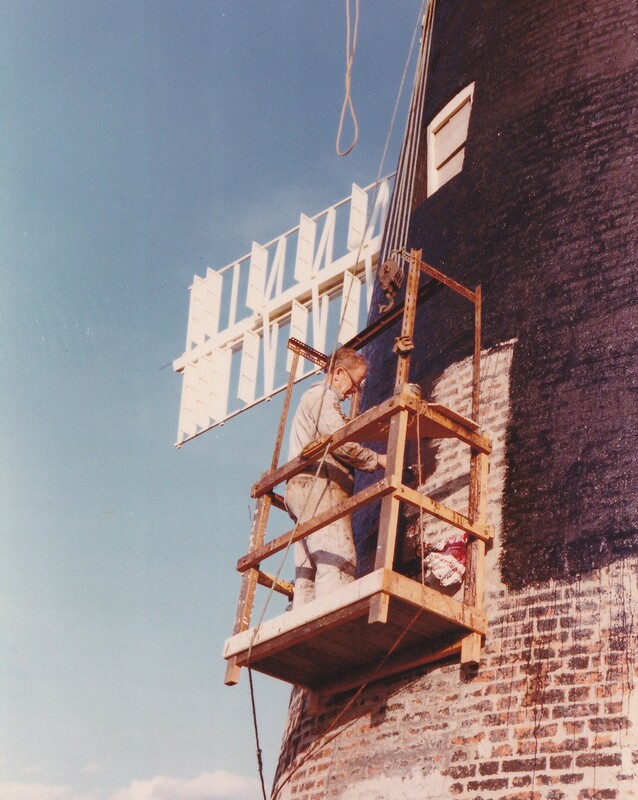 Initial work concentrated on making safe and recording what remained before using a mobile crane to lift off the windshaft and sails, the remains of the cap frame and the cast iron curb. A tarpaulin kept out the weather until the new cap was fitted. 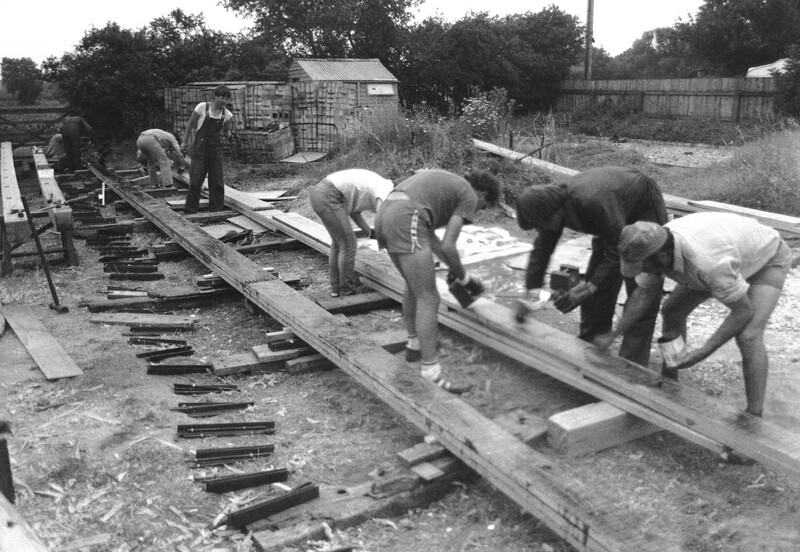 The main floor beams were repaired where possible or replaced with oak or recycled pitch pine. Replacement oak joists support new elm floorboards on each floor. Work on the tower was spread over several years with repair and repointing of the brickwork and replacement of doors and windows. At the top of the tower the brickwork was rebuilt to restore its strength and circularity. A new elm curb is bolted through the top of the brickwork and supports the cast iron curb track plates on which the cap turns. 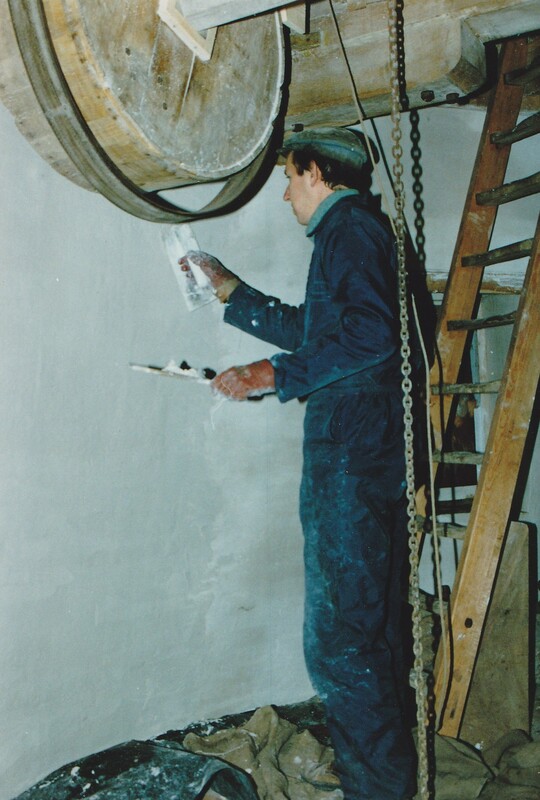 One of the final tasks was coating the brickwork with tar, the traditional way of waterproofing the tower. An electricity supply with lights and sockets on each floor was installed by apprentices from Eastern Electricity Board who also installed a replacement historic diesel engine to drive the stones on the ground floor. 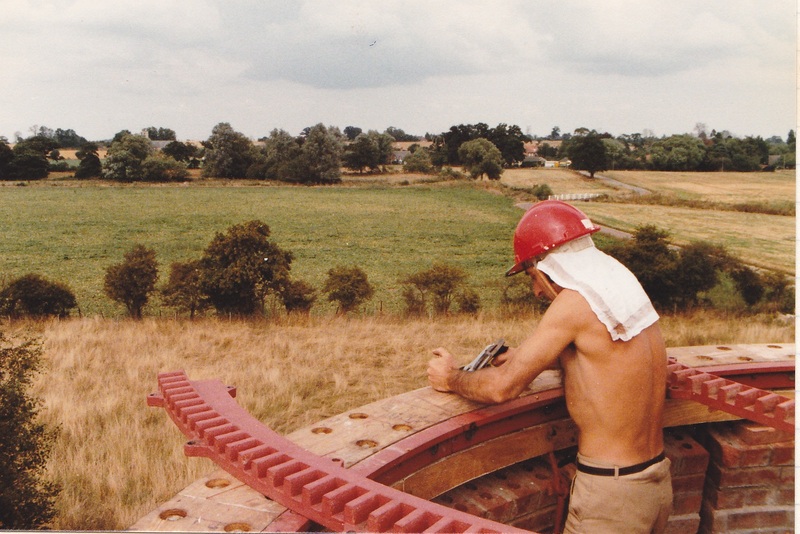 Work on the new oak cap frame began in 1982, incorporating just two beams from the original cap frame that could be re-used. 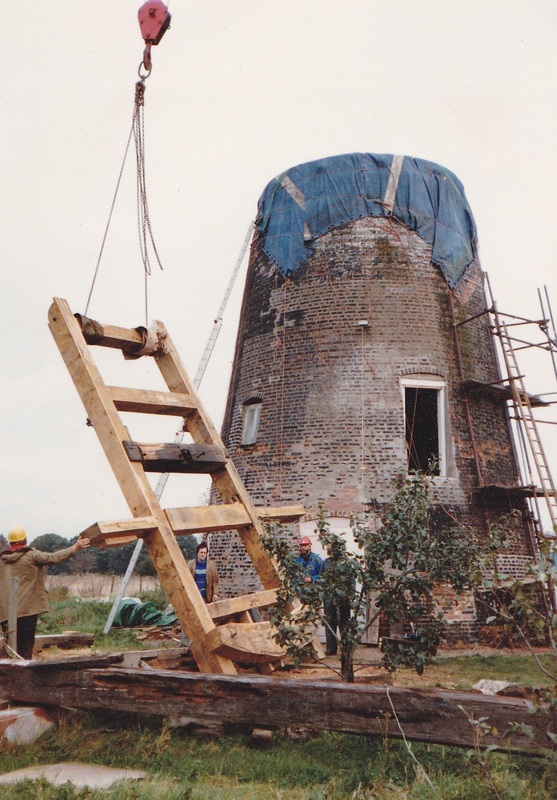 The frame was built upside down to allow the fitting of the truck and centring wheels before being turned over and the windshaft lifted into position. The traditional ‘beehive’ cap is built with oak ribs fitted into a turned ‘acorn’ finial. Intermediate noggins support the tapered pine boards with cover strips fitted over the joints. 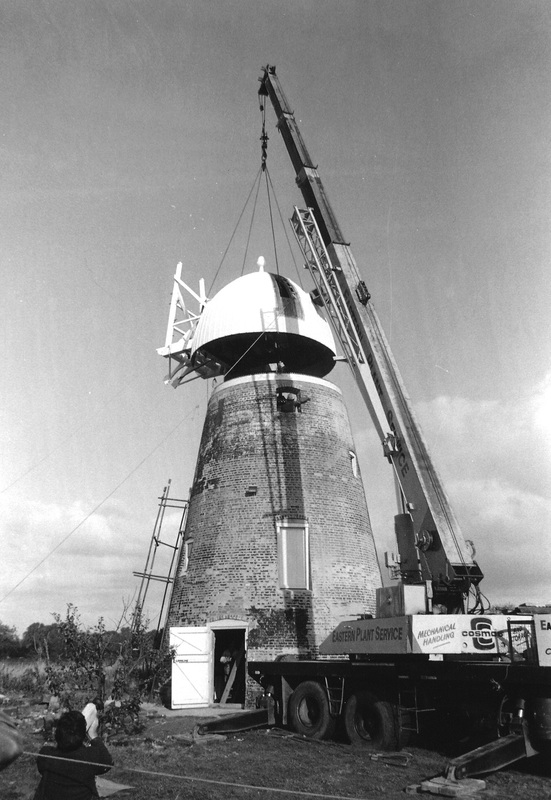 The fantail frame and gearing were installed whilst the cap was still at ground level and the cap was lifted into place by mobile crane in October 1983, watched by a crowd of some 70 people. The original brake wheel was too rotten to repair. A new wheel 7 feet 2 inches diameter was built off- site from oak and elm with new cast iron teeth segments, the originals all being broken. The new wheel with its wrap-round brake was installed during the 1984 work-ins. The two stocks which support the sail frames are 52 feet long with a central section 12 by 10 inches. Traditional good quality pitch pine is no longer available in suitable sizes. After a lot research the decision was taken to laminate them from pressure treated Douglas fir, the first time laminated stocks had been made by amateurs. 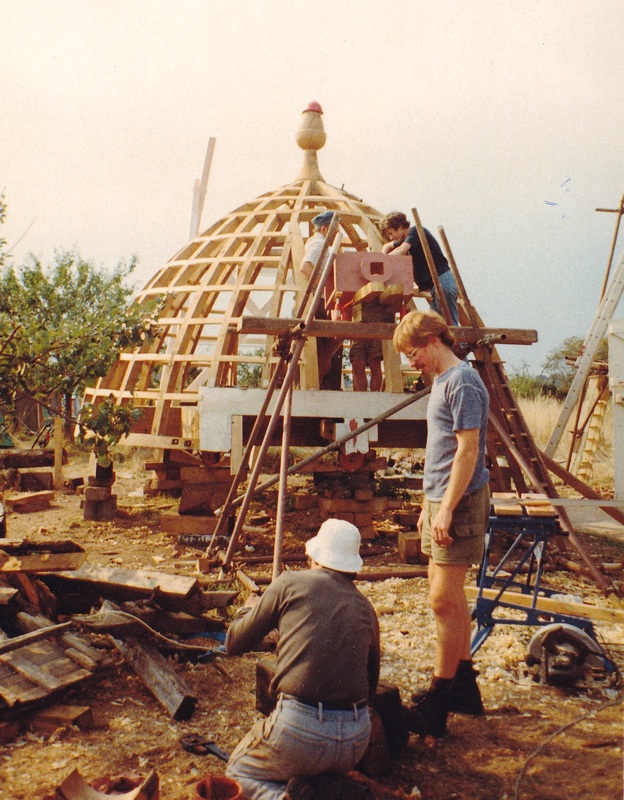 The four sails frames were made from pitch pine, each being 27 feet long and 9 feet 6 inches wide. The 192 shutters have a light wooden frame with a hessian covering and cast iron fittings. 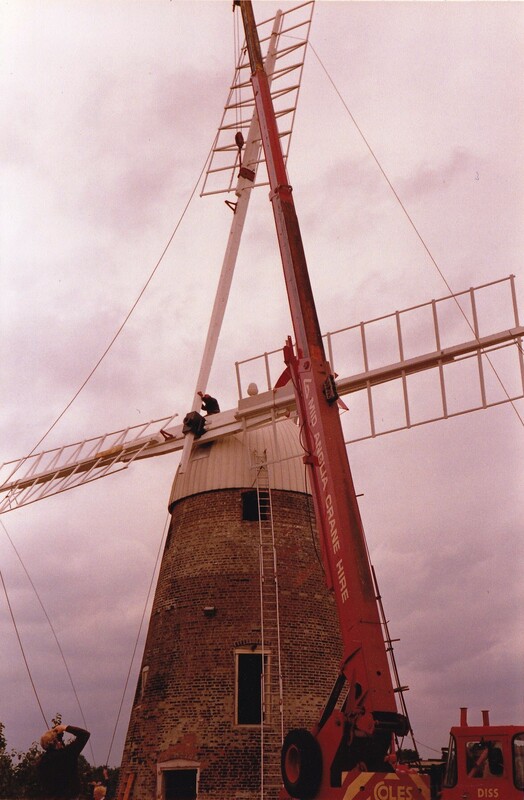 The completed sails span 66 feet and were installed in August 1985 with new striking gear to control the shutters. 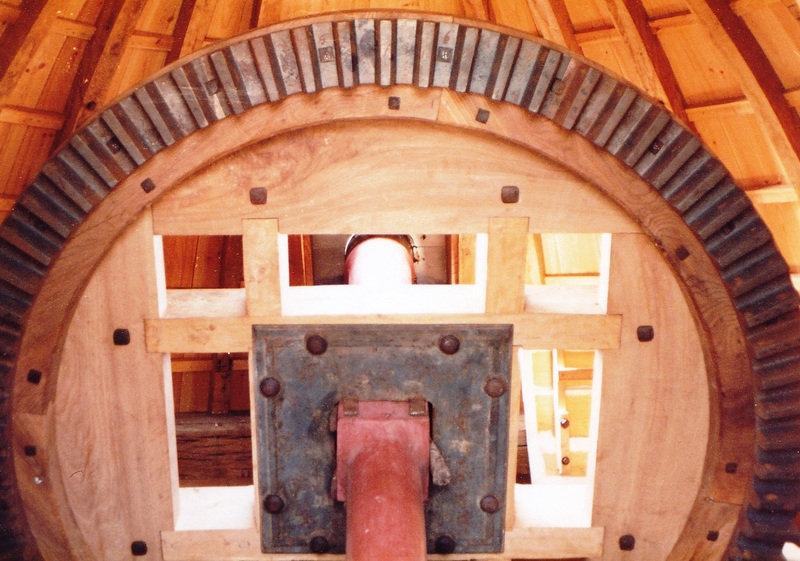 The internal machinery and millstones were repaired and refurbished with many of the wooden gear teeth being replaced and new stone furniture was built. 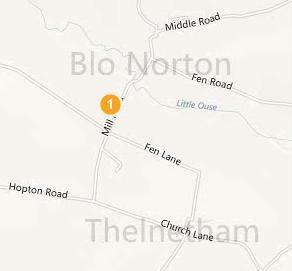 One of the final jobs was plastering the inside walls to bring the restored mill to full working order, producing flour again after some six decades.